Welcome crafty friends, Kathi here to host the blog for you. 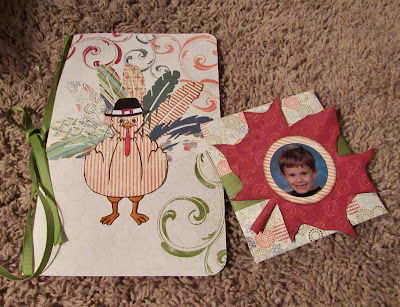 Today I am bringing you a fun activity booklet and journaling cards for my young dinner guest on Thanksgiving. These are place cards as well. Each child will have these on their plate to show them where they will be seated. The journaling cards can be saved and placed in a scrap book for them and the activity book keeps them busy during the times the adults are visiting with other adults. 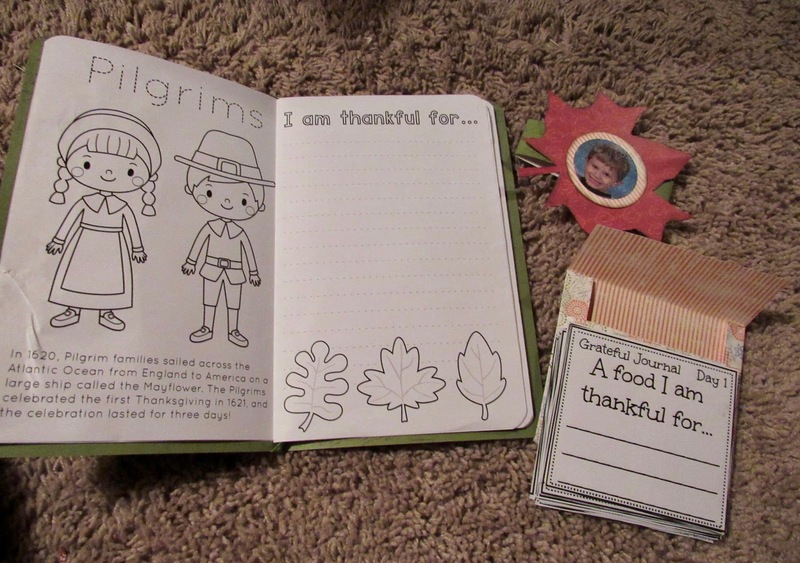 The activity book measures 5 x 7 with things to color; Tic tac toe, word scramble, word search and a maze. I covered the activity book with a 12 x 12 Earth Wind and Fire sheet cut down to 7.5 x 5.5". On the front of the activity book I cut down a 12 x 12 paper to a 8.5" x 11" paper to run through the printer Canon TS5020 and printed the body of the turkey on to the patterned paper. I fussy cut the turkey out. I then colored his feet, beak and comb with distress markers. The journal pocket was created using the paper line Honeycomb. I cut out a large leaf added two circles to the center of the leaf, the larger circle is edged with Milk Chocolate PowderPuff Chalking Ink. One circle is a photo of the child that I printed using my Canon Selphy 1200. The photo was then punched out with round punch. 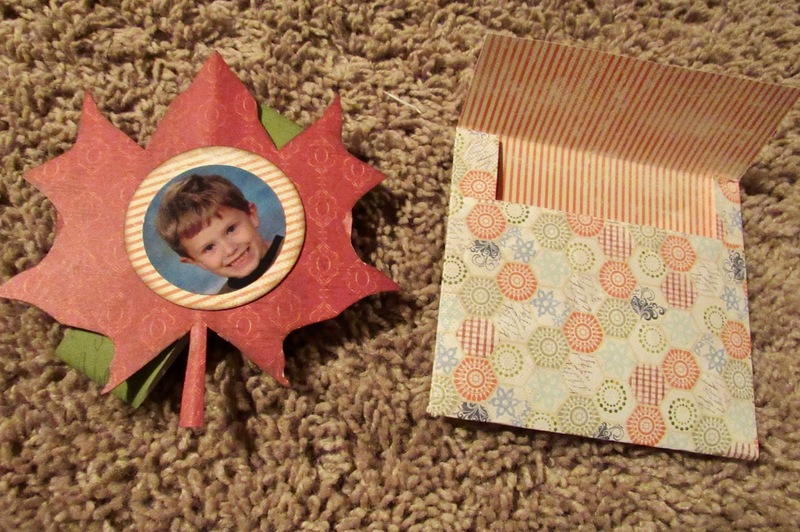 The large leaf was then attached to a belly band to keep the journal closed. Inside the pocket are 30 journaling cards for the children to fill out. Be grateful and thankful for even the smallest of things.